The tongue can be one of the most annoying places to develop a sore; you need your tongue to eat, drink and speak, all of which become difficult and frustrating when a painful sore shows up. Before treating your sore, make sure it's actually a cold sore; canker sores, which are more common inside the mouth than cold sores, are round or oval with a white or yellow center and a red border, according to the Mayo Clinic. Cold sores, caused by a strain of the herpes virus, are fluid-filled blisters on a raised, red area. Determine whether you have a cold sore or a canker sore. Cold sores usually occur around the mouth or lips, whereas canker sores tend to occur inside the mouth and near your gums. What appears to be a cold sore on your tongue may actually be a canker sore. Apply a small amount of ointment to the sore and let it sit for a few minutes before eating or drinking. Although it may be difficult to keep the ointment on the sore, a little application is better than nothing. Over-the-counter ointments for cold sores include lidocaine and benzocaine; for canker sores, try an ointment containing benzocaine, amlexanox or fluocinonide. Practice good oral hygiene. 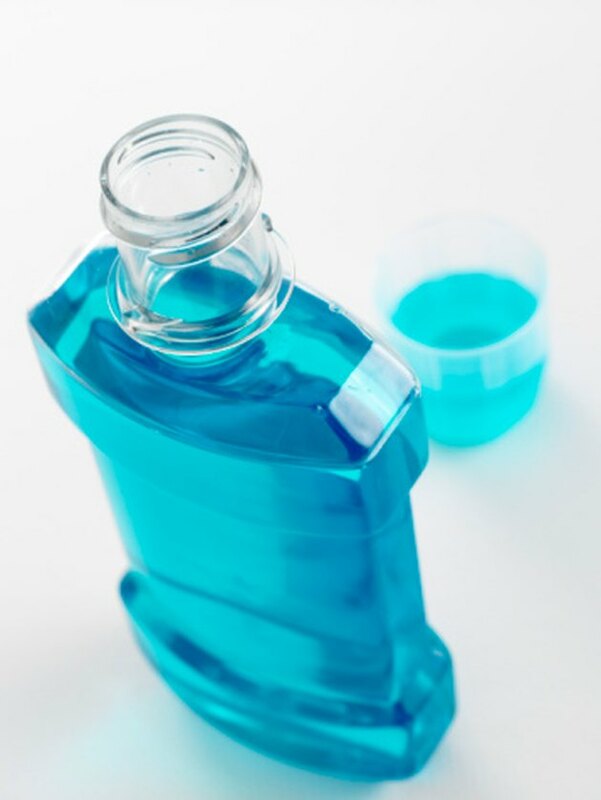 Brush your teeth and rinse with mouthwash several times a day to keep your mouth clean and reduce germs. If you have canker sores, your doctor can prescribe a mouth rinse that contains dexamethasone or tetracycline to lessen pain and speed up healing. According to the National Institutes of Health, avoiding hot and spicy foods can also reduce pain and irritation in the mouth. See your doctor or dentist if sores don't go away after a few weeks or reoccur frequently. Large cold sore outbreaks can be treated with oral antiviral medications that target the herpes simplex virus; for canker sores, prescription treatments or tests for underlying conditions may be necessary.